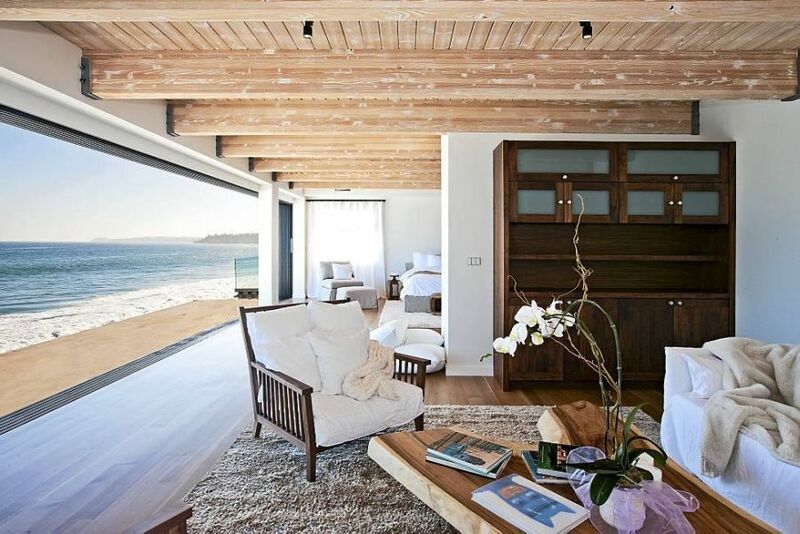 A beach house in Malibu promises, the sun, sand and surf along with luxurious interiors and often a pretty hefty price tag! 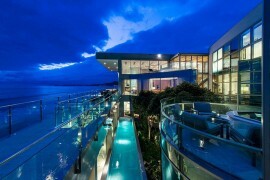 But there is one more alluring aspect of this suave neighborhood that makes it such a draw. 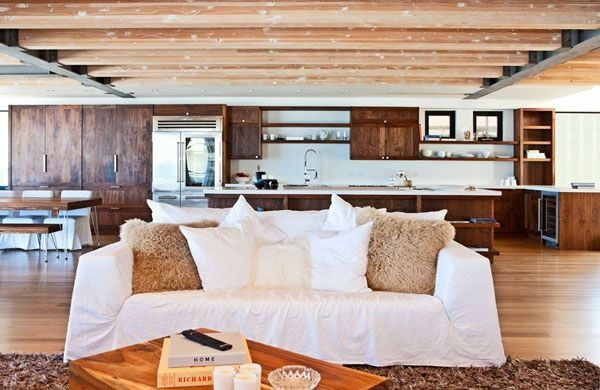 This strip of sought-after real estate is the home to some of Hollywood’s biggest stars and brightest names. 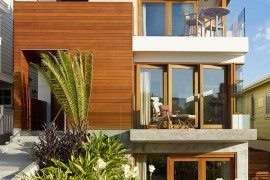 It is not often that you can brag about next door neighbors like Leonardo DiCaprio, Demi Moore, Bruce Willis or Angelina Jolie! And Matthew Perry is another name that now has joined this elite and exclusive Malibu club. 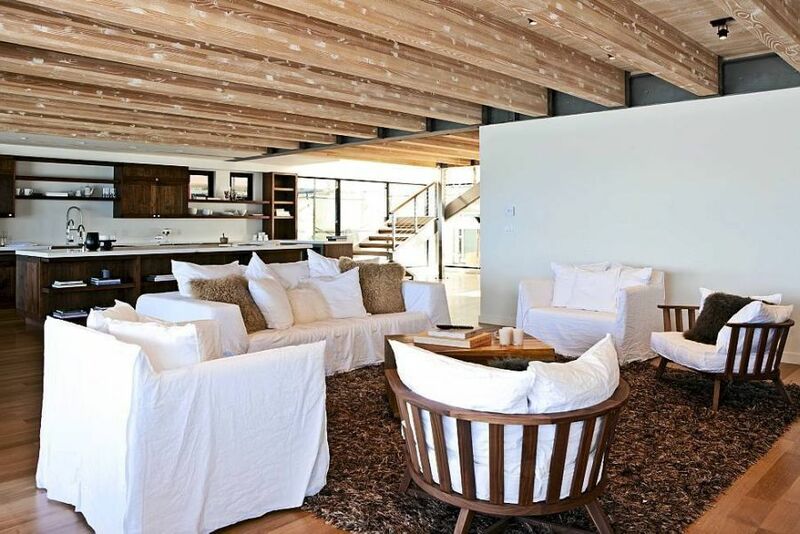 The former Friends star now owns this gorgeous home in Malibu that showcases a cool and understated coastal style. 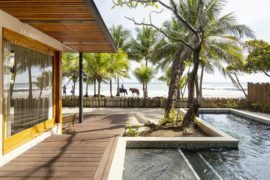 Interiors of the residence are largely kept neutral in nature with a heavy presence of driftwood that grounds the entire space and brings in the necessary warmth. 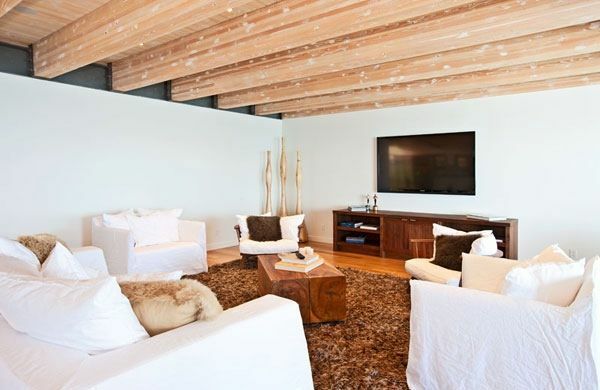 The ceiling sports large wooden beams which also give the home a very distinct look. 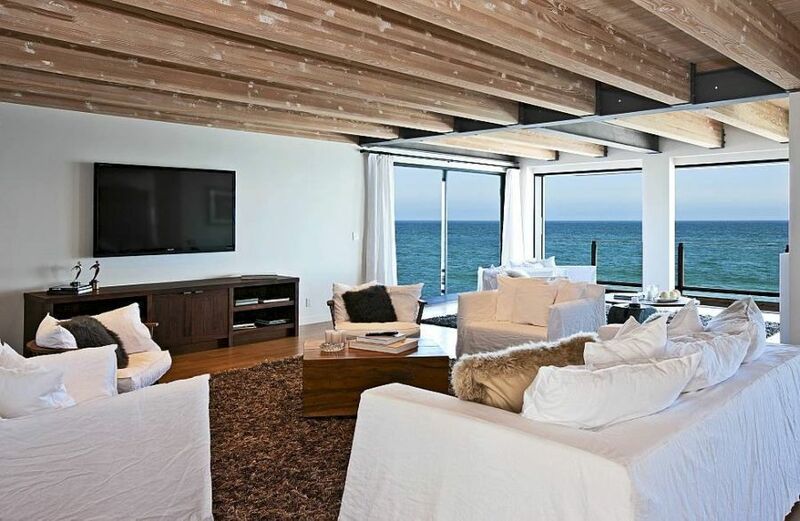 Another of Matthew’s former Friends co-star Courtney Cox already owns a Malibu beach house not too far off as well. 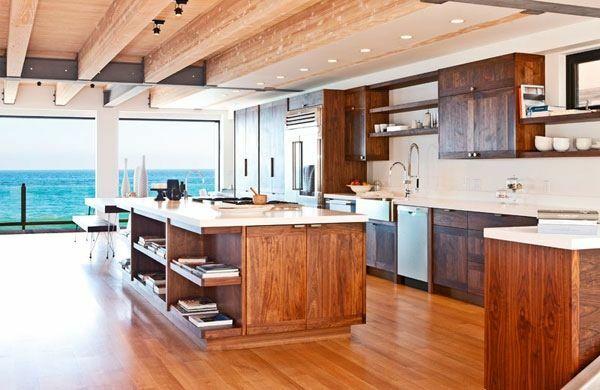 The stylish residence sports an open floor living plan with the kitchen, dining area and the living space all connected visually. 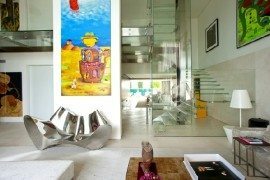 Though large glass windows ensure that it opens up towards the ocean, the entrance is gated and includes a large courtyard that blocks any prying eyes. 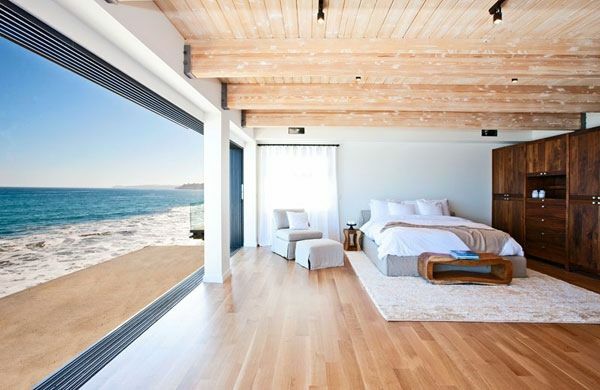 With the majestic Pacific making up the backyard quite literally, this Malibu house indeed is an absolute dream. 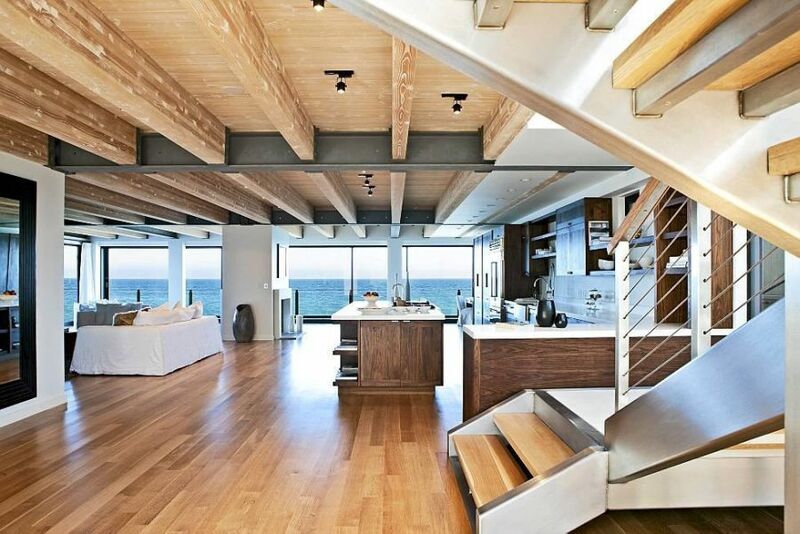 In fact, the ocean gently rushes underneath the cantilevered home during high tide. 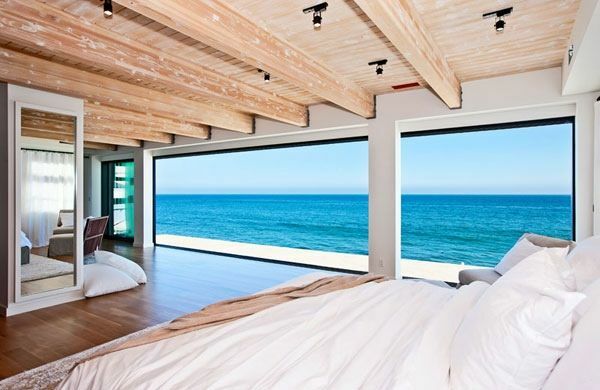 Large glass windows in the living room and the bedroom offer unabated views of the ocean which is just a few steps away. And what does all this opulence and extravagance cost? 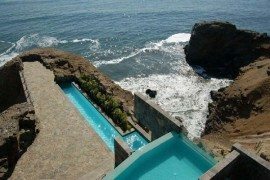 About $12 million and if you have that kind of cash to splurge around Malibu does sport similar real estate that will blow you away with grandeur. Now for the sake of Chandler, we hope it is not Janice who buys the property next door!